Social Monkee Review – Build Link or Kill Rank? Links from authority site pointing to your site is a major ranking factor. The reason is if someone link to your site then Google considers this a vote and value it. If this link is coming from a high authority site, then it has more power than coming from the low-quality site. Don’t forget, if it is coming from spammy sites, then it may also hurt your site. 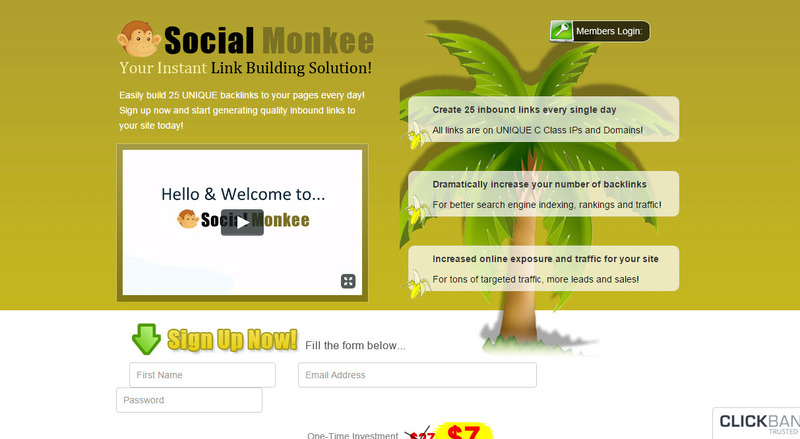 Social Monkee is also a very popular program that offers backlink services to its members. This may work in 2008 to 2010 but now due to recent Panda and Penguin updates, this type of service can harm your site. 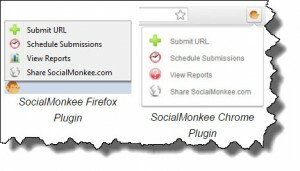 How to Work on Social Monkee? Backlink Package – If you are a silver member then you are allowed to submit 1 URL to 25 sites every day. This will become 750 backlinks monthly to your 30 pages. You can rank your page with even one quality link but using such links, in fact, hurt your site. Detailed Statistics – To track things is very vital and as a silver member, you can do so and check whether they have been indexed in the Google or not. This is the best way to confirm that none of your links have been lost in the Google. Submit URLs With Firefox Plugin – They have created a Firefox and Chrome Plugin and using this you can submit your URLs directly, without even having to log in the site members area. The plugin comes up with instant information, making the whole process even faster. All Sites on Unique IP Addresses – To ensure that there are no footprints left behind, Social Monkee ensures that all sites have their own domain name and are on unique C-Class IP addresses. This implies that all the backlinks you get are unique and stay to last. Referral Commission – It is a ClickBank product and allows you 40% referral commission on Silver and Premium membership. Moreover, you can integrate the best spinner for spinning your content to make it unique. Other than this you can also add backlink indexer log in information to your profile. Whenever your submission is completed, then your backlinks are automatically submitted to this tool that can help your link to index instantly. In the black hat method, you are using automated tools to get tons of backlinks to your site for better rankings. But remember that people who are manipulating Google Algorithm will sooner or later get caught. As per Google terms and condition you should have natural links coming to your site. For this purpose, they are investing billions of dollars in identifying sites that are using such practices and you regularly hear about different sites getting de-index by Google. As I said earlier that you may get some results but they are all for the short period. Google currently in the most advanced form caught such things instantly. People are looking for instant rankings and eventually they could not see their site in the search engines. Premium membership: It will costs you $47. With this membership, you are allowed to submit 3 URLs to 100 sites per day. This will also enable you “drip feed” your links over fourteen days rather than receiving them all at once. This gives your links a more natural profile in the eyes of search engines. Elite membership: This will cost you $57 one time and requires the purchase of the Premium membership as a precondition. The benefit of this membership is that you can submit up to 3 URLs to 150 sites per day and drip feed your links over a thirty day period. Moreover, you are allowed to ping your links which help your links to get indexed instantly in the search engines. The monthly Ambassador membership: It will costs you $19.97 per month. It will also allow you to submit one more URL to 25 sites each day. Moreover, your links will be automatically added to Lindexed, a facility that makes an extra effort to get your links indexed by the search engines. This membership also allows you to participate in their Facebook group. I think this cost is too much for such type of crappy links to your site. Just remember, any backlink package primarily using tools is not a good idea and you could lose your business very quickly. Why is it a bad idea? The reason is simple; it tries to manipulate Google’s algorithm that it has been laid to ensure quality. Google hate this, and they spend billions of dollars to spot this. If you still are ambitious to try to risk your business then go ahead, you may likely see early results, but again sooner or later all of this will undoubtedly come crashing down. SEO has totally changed since 2013, and you will rarely see some crappy looking site on the top of Google just because of spammy backlinks. Now the prime thing to rank your site becomes quality content and authority backlinks that come naturally to your site. If you are looking for creating a successful website that will rank high on search engines, then my suggestion is to avoid all such thing and write quality content for your visitors. If you don’t know anything, then see my Wealthy Affiliate review which is my #1 recommendation, and it will help you avoid all of the drawbacks that come with black hat SEO. Please do remember that I am not saying authority backlinks will not benefit to you, but they are the real booster. They should come naturally to your site. You cannot just comment on the blog and get great quality do follow backlinks. You also need to consider the environment and the relevancy of your backlink profile.